Whether you are in a house with the outside garden tap or in an apartment. The type of fibers that your carpets are made of. Whether your carpets have been treated for stain guard. If the carpets are a loop or cut pile. The amount of traffic while on the carpets. The importance of prompt drying time. Whether anyone in the home has allergies. Professional carpet cleaners will advise you in detail on the best method for your home or business. Floors are wet for 1- 6 hours depending on the equipment being used by the technicians and including the weather. This is the information you should know about the carpet cleaning method and options. Steam/hot water extraction Residential and commercial. Hot water extraction better choice. Bonnet Dry Chem Ideal as interim clean only Is not a deep restorative clean. Leaves residue. Carpet Shampoo Areas regularly cleaned such as commercial and retail areas. The best steam cleaning methods involve a number of stages and to be sure a thorough pre-vacuum steam cleaning machines can be a great way to keep many of the surfaces in your home spotless as a result. In addition, agitation of the cleaning solution into the pile of the carpet, hot water extraction and of course deodorizing. (Including the rinsing of the carpets with a neutralizing agent). 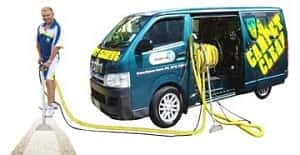 There are 2 types of steam cleaning: Truck mount steam carpet cleaners are the most noteworthy, definitely the more effective carpet cleaning method, and portable steam cleaning are good for apartments and high rise buildings. This is an older method. A cleaning solution will be applied onto the carpets using a circular brush. The rotary action of the brush truly creates a foam that traps the soil. However, this method consequently leaves a resoling residue. In other words, there are better carpet cleaning methods. This type of method is the most popular, chem-dry cleaning in Auckland. In general, it uses chemicals and heat for the cleaning process to break down the “oily” build up in the fiber of the carpet. Absorbent pads rotate at high speed under a rotary machine definitely (floor polisher type unit called, bonnet buffer) picking up the soils and oils in the carpet. It’s like cleaning your hair with a towel. This procedure has issues as a result, it leaves a resoling residue. Spots and stain treatment of carpets, in addition to the solvent based carpet cleaners solution, therefore the dry cleaning process. A carpet dry carpet cleaning service should also include the application of a neutralizing rinse as well as sanitizing and deodorizing. The product used in this method is foam. In detail, the unit generates the foam that uses brushes in order to rub the foam on the carpet. There are better carpet cleaning methods. There are better carpet cleaning methods. Leaves re-soiling residue.